A superphone is a smartphone with high-end features to make them more efficient, powerful and flexible than basic smartphones. It actually has no proper definition, with many just considering this to be a marketing gimmick. The term ‘superphone’ was coined by Google, when it launched its Nexus One in 2010, calling it a superphone. It was coined to describe phones that have more capabilities than basic smartphones. 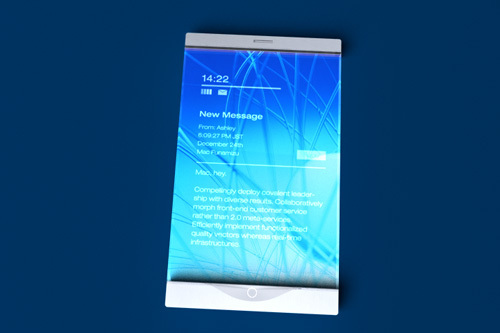 Smartphone is a mobile phone that operates on an operating system, similar to a mini computer. Smartphones are basically that – a mini computer. They offer a variety of features such as calling capabilities, computing capabilities, video conferencing, online surfing, cameras, media players, GPS navigation units, etc. Any mobile phone that lets you do the work of a computer is considered as a smartphone. Smartphone are powered by operating systems such as Android, iOS, Windows Mobile, etc. The term ‘smartphone’ was introduced into the market by Ericsson in 1997, when it used the word to describe its GS 88 ‘Penelope’ concept as a smartphone. There is no clear distinction that decides which phones are smartphone and which phones are not. However, with the increasing technology and offerings in a phone, the category has expanded to include all the new features that are currently available in the market. Since the launch of the Nexus One, the superphone category has expanded and evolved to include newer technology. It implies high-end functionality beyond the basic criteria for a smartphone, such as the ability to be more tailored to a users needs than just being able to extend a selected set of software ("mobile apps"). 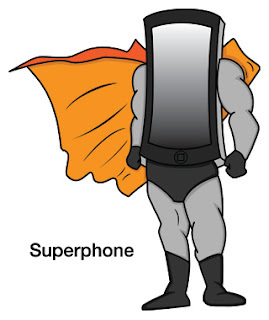 A Superphone also implies newer technology, and newer software. For example, having the newest SoC chip made from OEM's such as Qualcomm or Intel. An example of a Superphone is the LG G Flex 2. The phone sports a body that is curved horizontally, this makes the phone much less likely to break when bent or in a scenario where one sits on the phone by accident. The back of the G Flex 2 is coated with a material that 'self-heals' within minutes when scratched. Many flagship smartphones from various OEM's (Samsung, LG, HTC) are considered to be Superphones, as the term flagship refers to the OEM's most high-end offering. Similar to the smartphone category, the superphone category is also dynamic and constantly changes to incorporate newer and better technology. 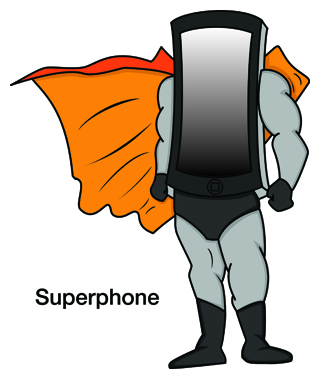 To many the term superphones are just another way to saying smartphones. To others, the term refers to a phablet, a mix of a phone and a tablet. There is no set definition of the term, hence it is free for many companies to take and manipulate the word to incorporate the product they are selling. Minimum of 1080p (Full-HD) display, 1440p (Quad-HD) displays are more preferable. 4K-screens are anticipated. Screen display larger than 5-inches or bigger (may overlap with phablet). Ability to replace system software and user-interface of the phone using 3rd party software. Multi-core processor and dedicated 3D-graphics, minimum of 1.5 GHz. At least 3GB of RAM. Large capacity battery, larger than 2500mAh. High-speed internet 100Mbit/s WWAN capabilities or higher. Has Hi-Fi audio capabilities built into the phone.